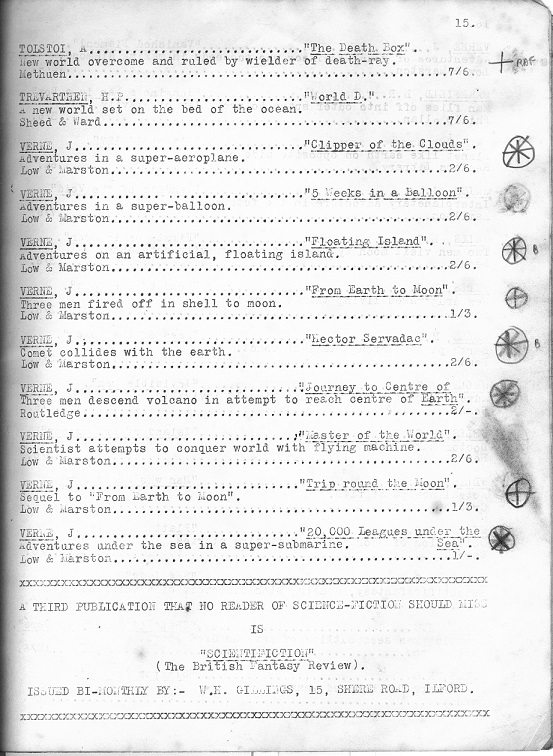 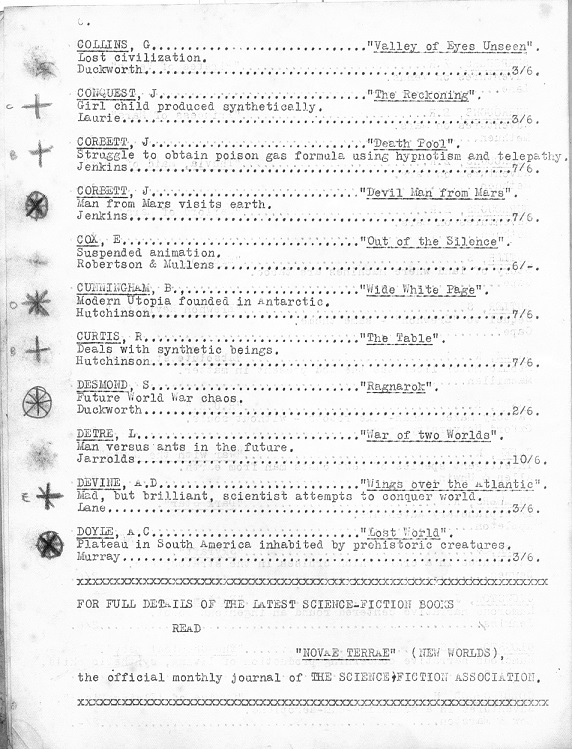 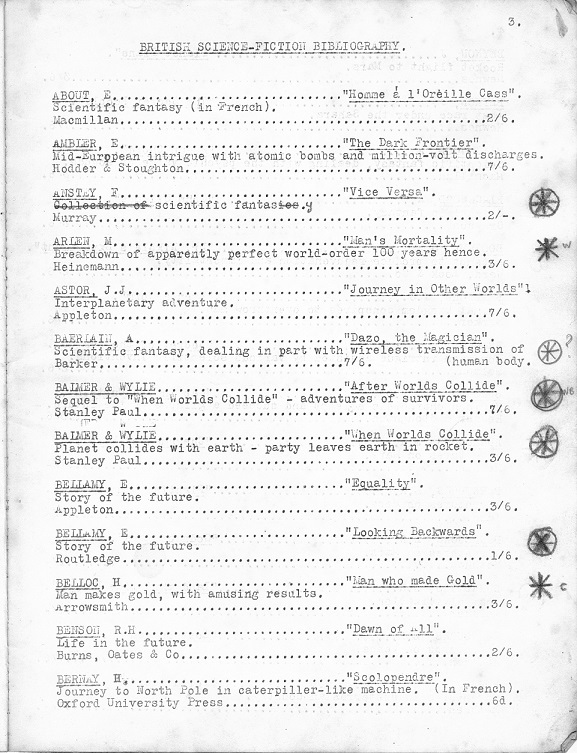 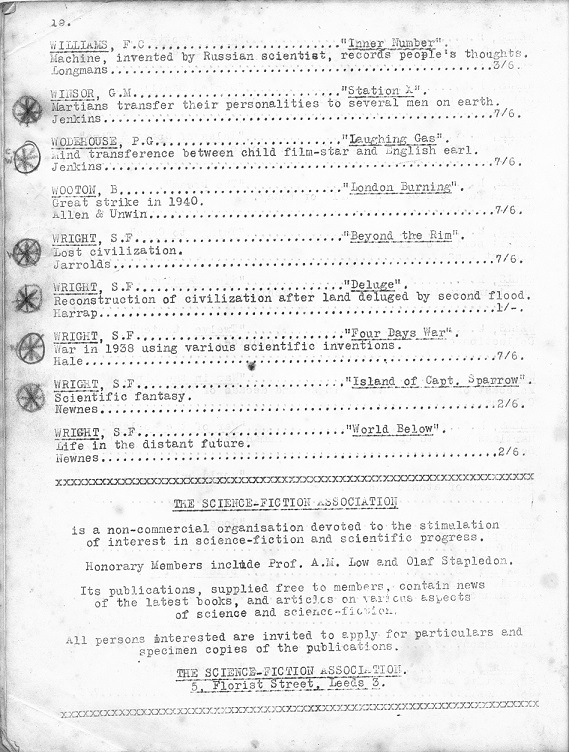 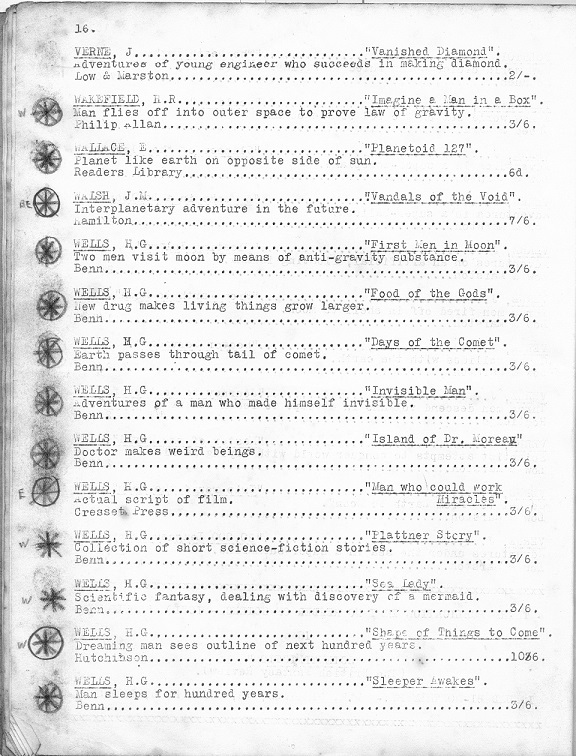 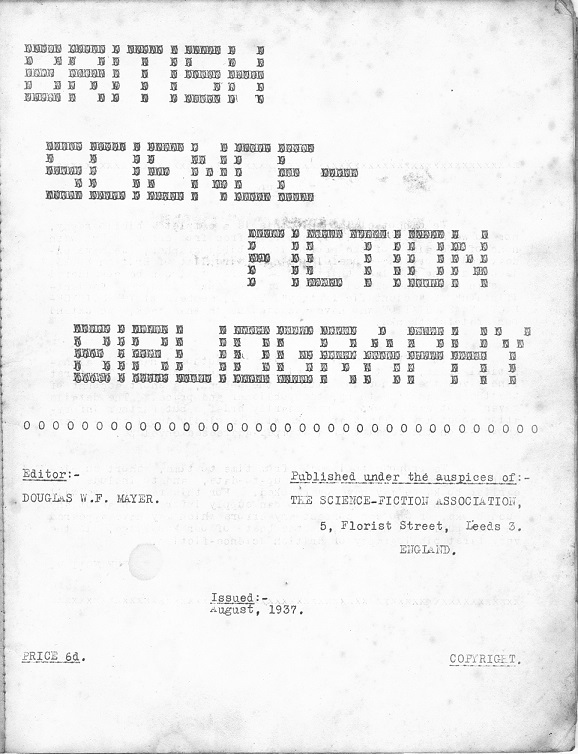 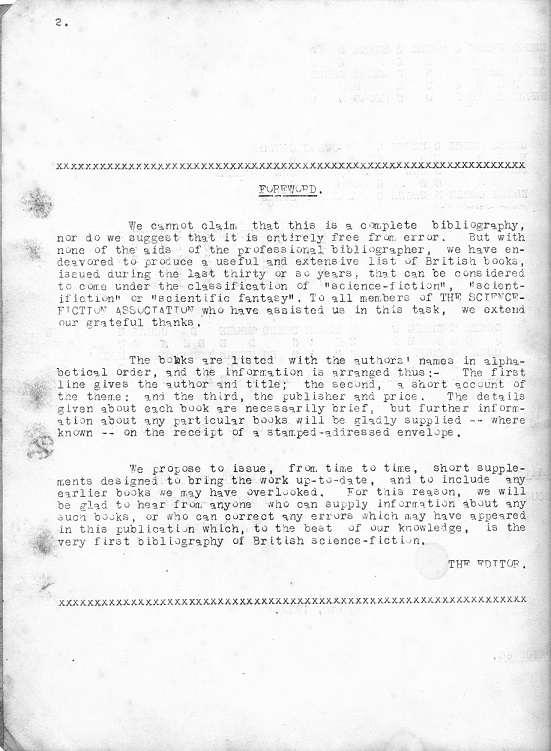 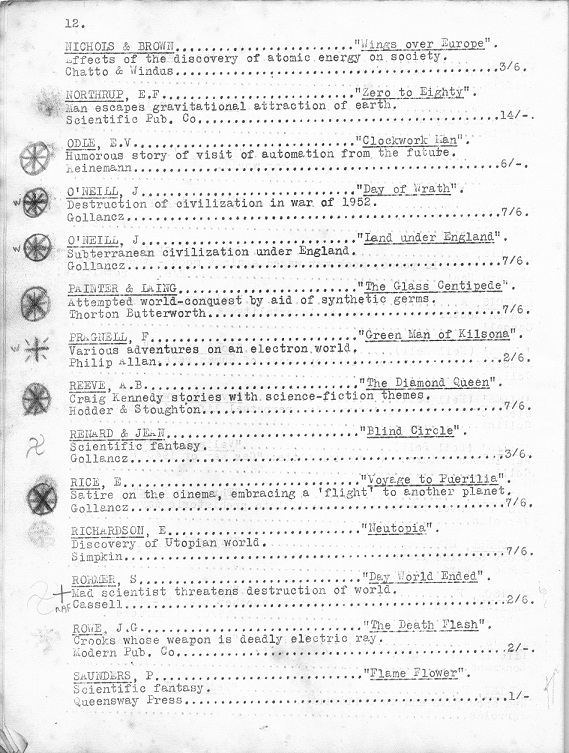 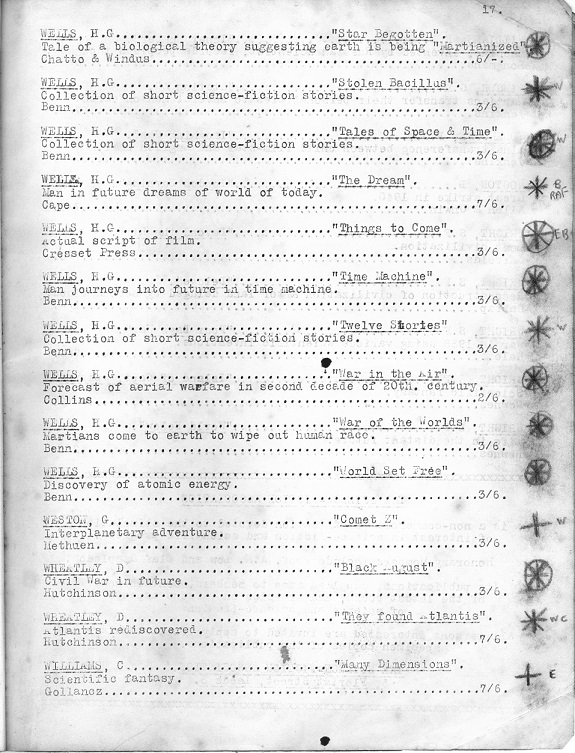 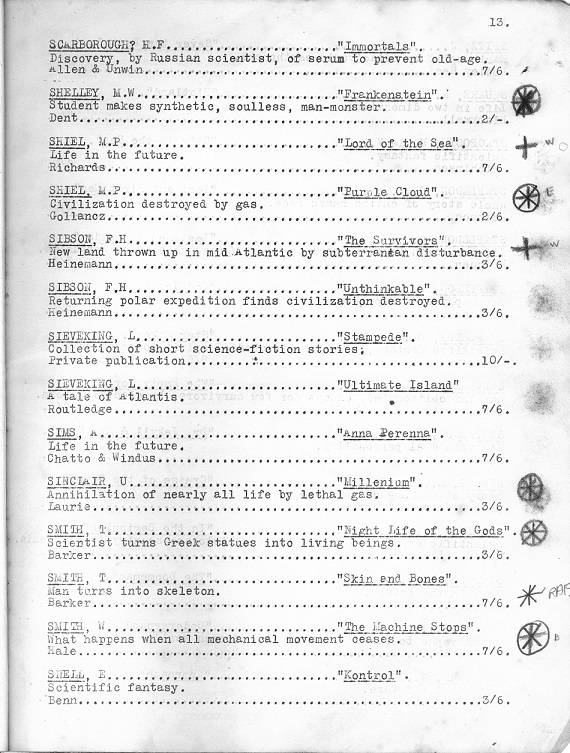 Edited by Douglas W. F. Mayer for the Science Fiction Association and dated August 1937, this was one of the earliest bibliographies to be produced by fandom and contains many titles that would be unfamiliar to a modern reader. 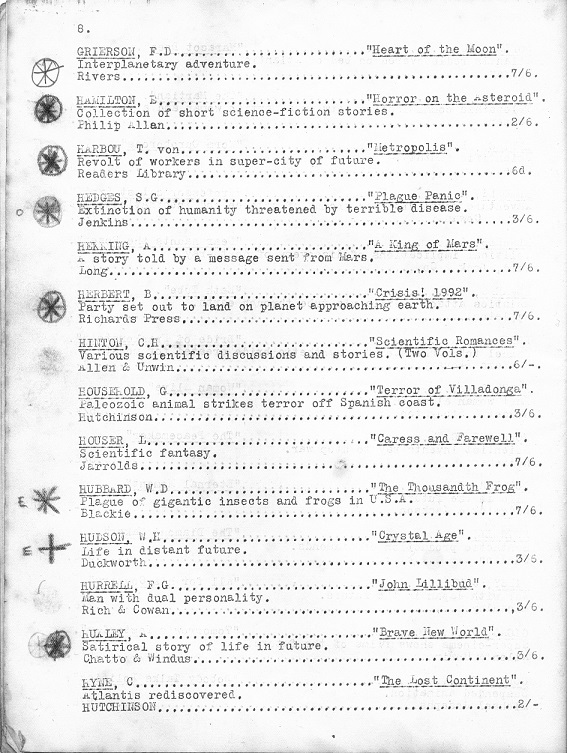 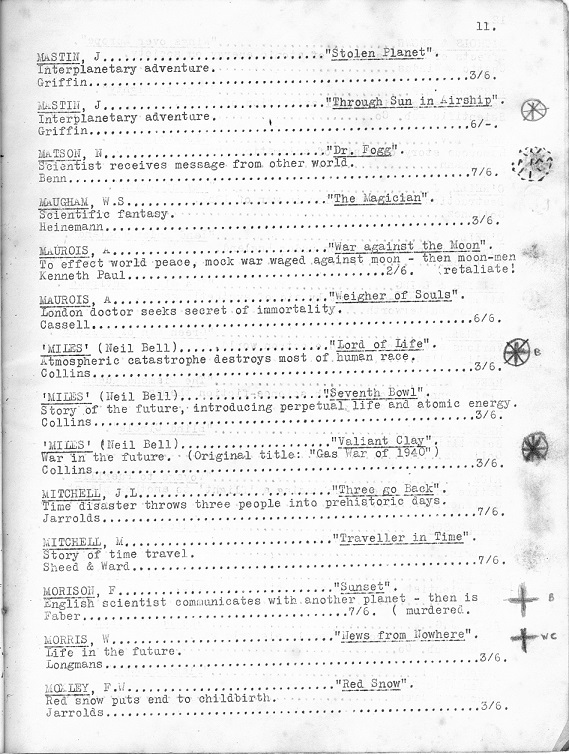 A mimeographed publication, it was printed in purple-blue ink, had a soft card wraparound cover, and was stitch-bound. 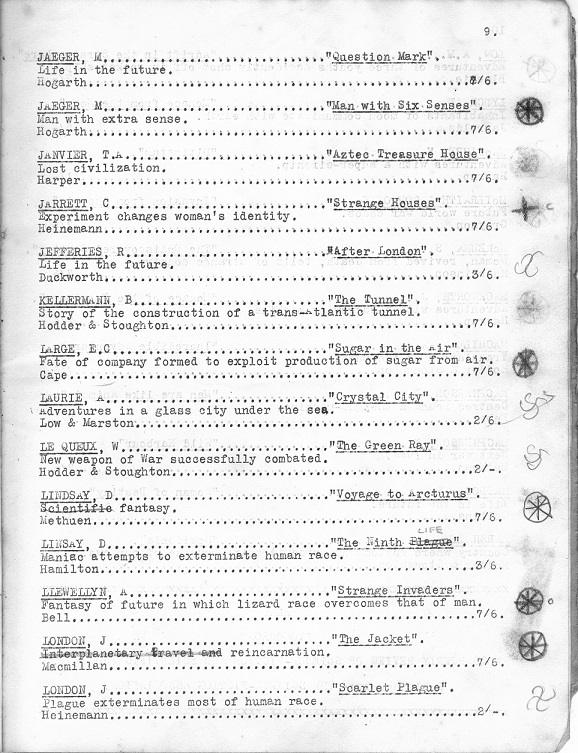 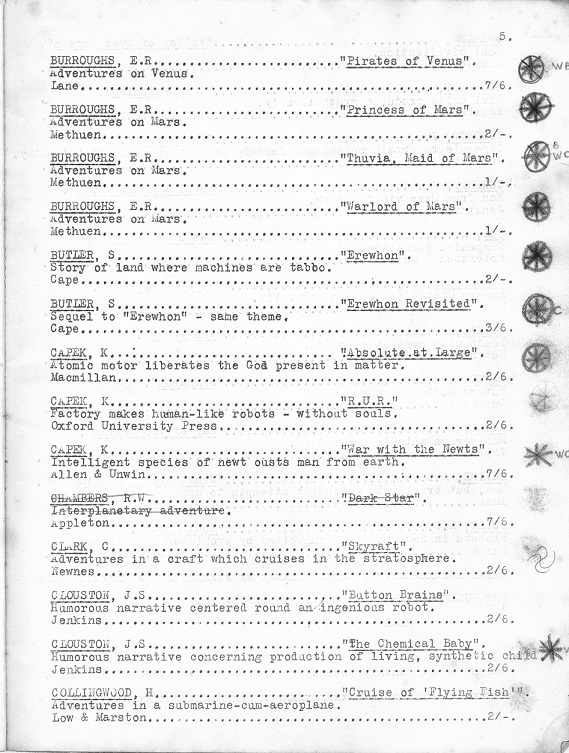 The particular copy scanned for this site includes its unknown previous owner's checkmarks against many entries. 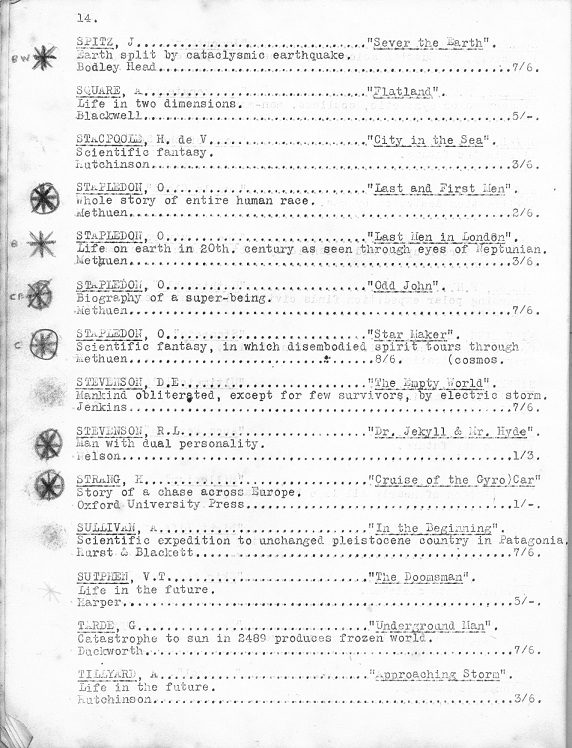 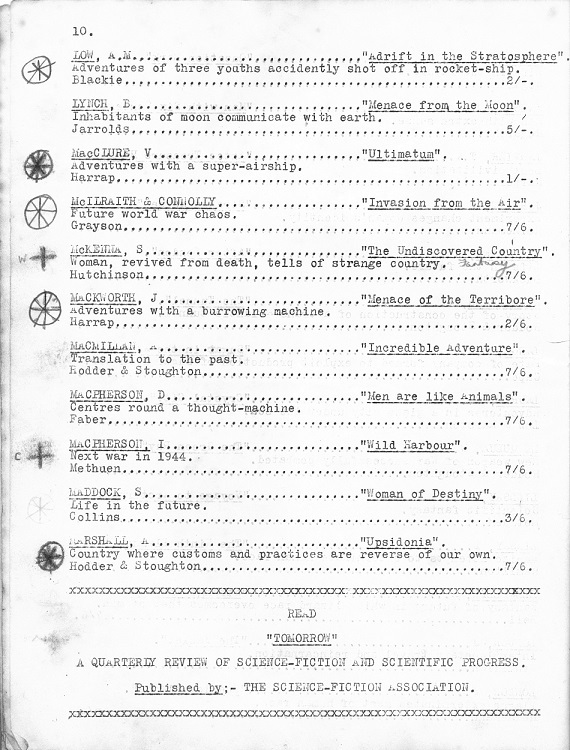 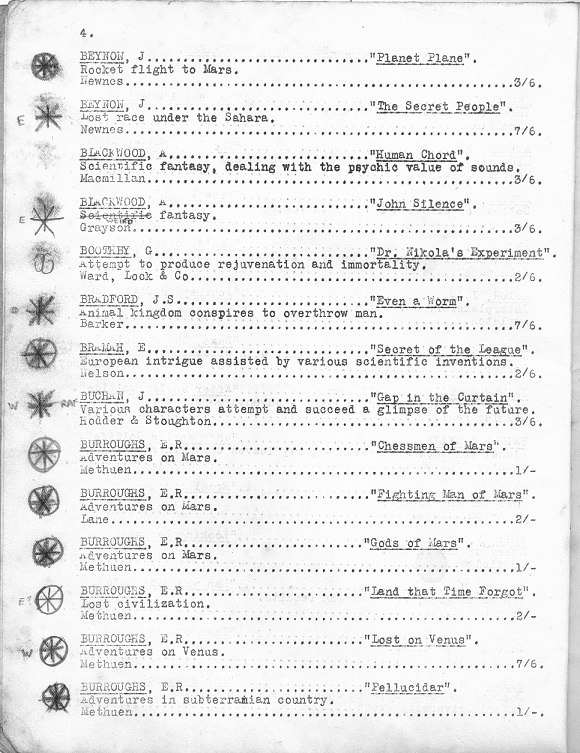 A key to those checkmarks had been scrawled in pencil on the inside front cover and is included below. 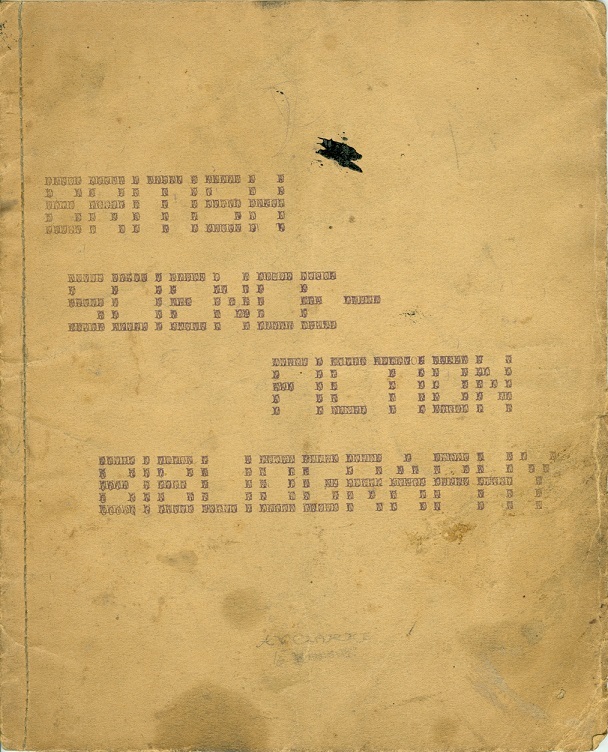 Update: Dave Langford has now annotated the bibliography – complete with links should you wish to follow up on any given author. 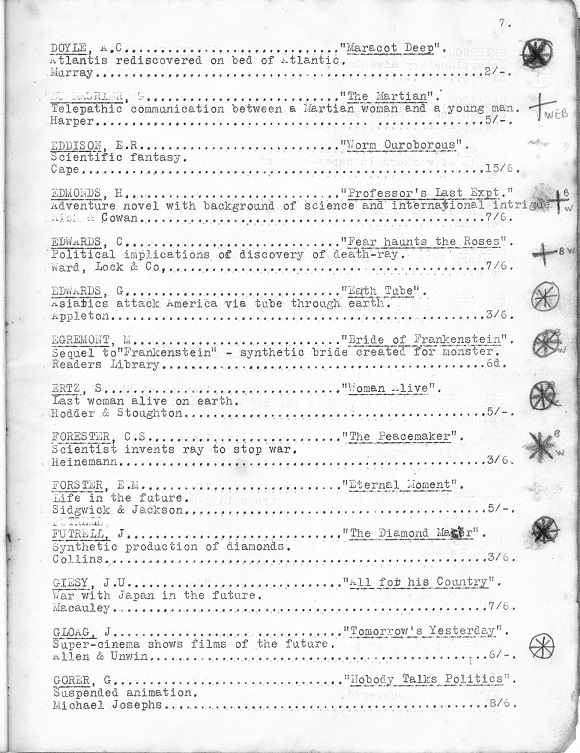 The annotations can be found here.